o Maintain nervous system function, and general health and wellbeing. o Assist the body cope with environmental stress and relieve symptoms of stress. o Support a healthy stress response in the body to help maintain emotional wellbeing. o Enhance energy levels and improve cognitive performance. 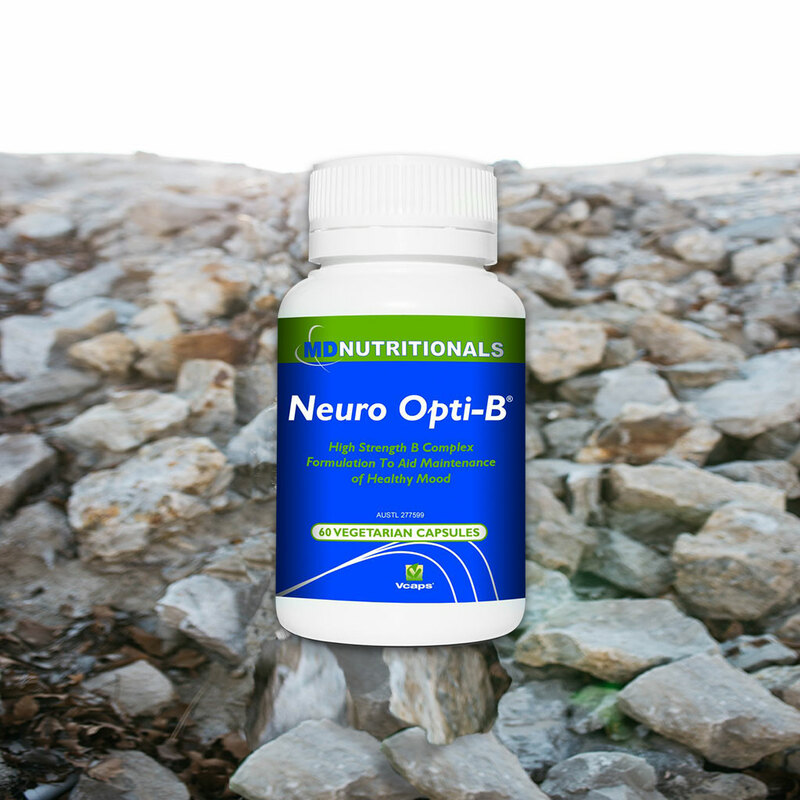 Neuro Opti-B® supplies the active forms of vitamin B6, vitamin B12 and folate. o These nutrients may help reduce homocysteine levels. Studies show raised homocysteine is a risk factor for developing cardiovascular disease. o Due to their central role in neurotransmitter synthesis these nutrients also contribute to supporting healthy mood balance. o Pyridoxal 5-phosphate (P5P) is the activated form of vitamin B6. Standard vitamin B6 supplements such as pyridoxine hydrochloride must be converted to P5P by the liver in order to be effective. In contrast, supplementing with P5P ensures the most active form of vitamin B6 is supplied. o May enhance B12 levels in the body. Vitamin B12 deficiency is common in people of all ages who consume a low intake of animal-source foods. It is also prevalent in the elderly due to malabsorption of B12 from food. Methylcobalamin is the active coenzyme form of Vitamin B12. o Calcium folinate is a source of folinic acid which is regarded as a stable precursor of folate. Folate requirements can be affected by bioavailability, nutrient interactions, smoking, certain drugs, and genetic variations. Contains no gluten, soy, dairy, yeast, wheat, artificial flavours, colours or preservatives. Adults: Take 1 capsule once daily with food, or as directed by your healthcare practitioner. Vegetarian and vegan friendly. Vitamin and mineral supplements should not replace a balanced diet. Always read the label. Use only as directed. If symptoms persist, talk to your health professional.